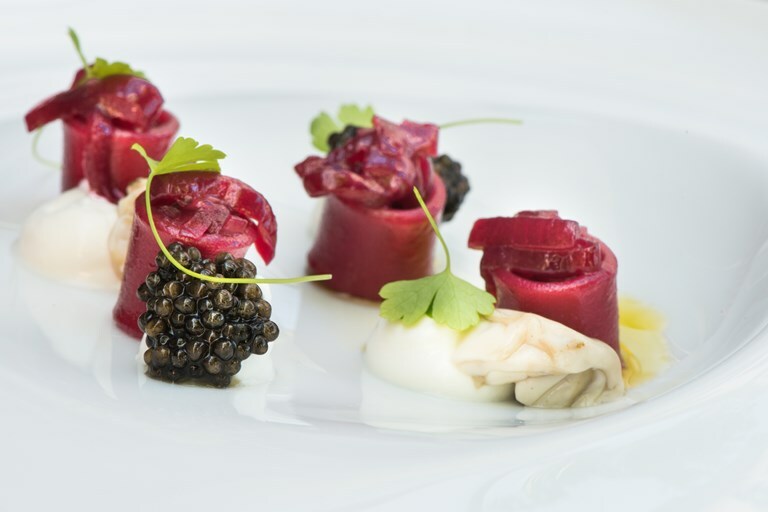 This colourful beetroot pasta starter from Emanuele Scarello, combines the decadence of oysters and caviar with the earthiness of beetroot. Use large paccheri pasta for this recipe, as it needs enough room for the red onion stuffing. When he’s not in the kitchen of his two Michelin-starred restaurant, Emanuele Scarello is in the Fruilian countryside, seeking out wild herbs and rare ingredients to incorporate into his dishes.